Pope Francis is a fan of CA San Lorenzo in Buenos Aires, so now he has relocated, it seemed only fair to put together a Hypothetical XI for him. Squad selection and eligibility issues mean that the Vatican City national team isn’t very good, and Francis deserves better. 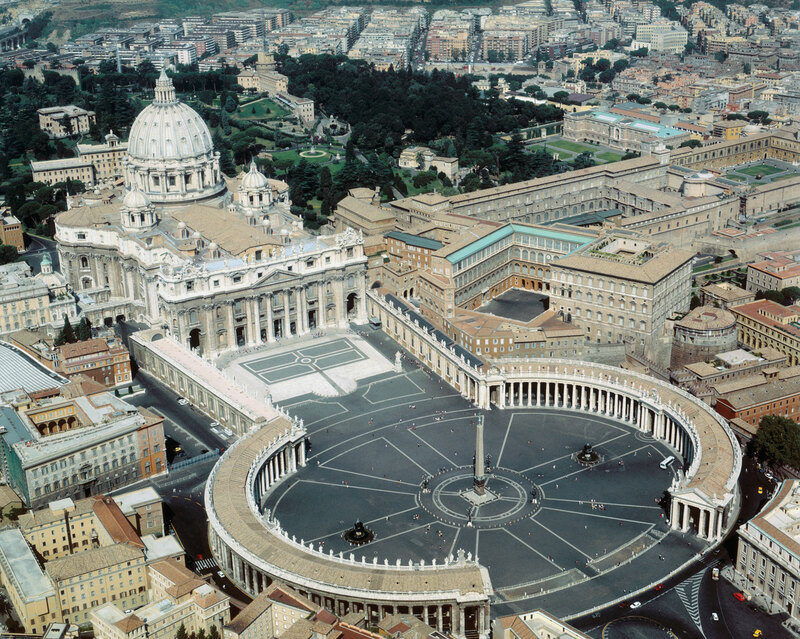 The Papal States were a band of territories across the middle of what we now know as Italy, under the sovereign rule of the Papacy, and constituting the temporal, rather than spiritual, power of the office. Thank you Wikipedia. The mutable nature of power and control in Europe in the middle ages means that the precise span of the territories under Papal rule was changeable, to say the least, but to offset the exclusion of Tuscany and most of northern and southern Italy, we can add the occasional presence of Corsica, San Marino, and also the Papal enclave of Avignon and environs from that slight awkwardness in the 14th Century. Our Hypothetical XI is therefore taken from players born in or otherwise eligible to play for these disparate regions. As there is a strong Italian link here, they will be lining up in a 3-5-2 formation. Buffon and Sirugu are both ineligible (being born in Tuscany and Sardinia respectively) but fortunately the Avignon situation means that Cedric Carrasso of Bordeaux, and otherwise of the French national team, can step in. Leonardo Bonucci (Juventus) – born in Viterbo, once a favourite residence of Popes in the 12th and 13th centuries, a ball-playing centre back who chips in with the occasional goal. Andrea Ranocchia (Inter) – having impressed at U21 level, he is yet to fully establish himself in the senior Italy team, but he was born in Assisi, which under the circumstances we can’t ignore. Sebastien Squillaci (Arsenal) – while born in Toulon, Squillaci is of Corsican descent through both parents, and has turned out for the Corsica National Football Team on three occasions. In centre midfield, two Romans representing both sides of the city in club terms, and a Corsican with an Italian father who lived in a convent when he first moved to Montpellier. 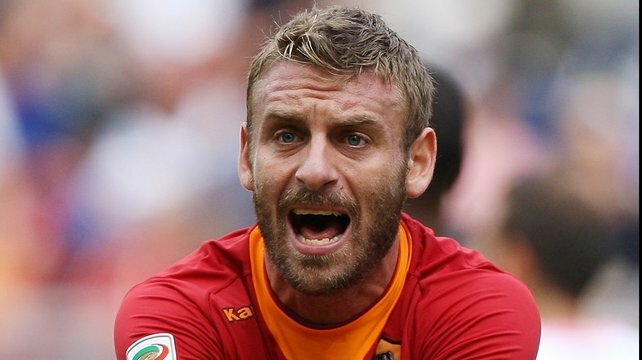 Given the Pope’s Argentinian birth, it seemed only natural to include the Italian World Cup Winner with dual citizenship. 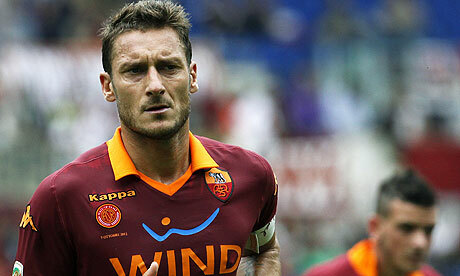 Francesco Totti (Roma) – because Totti is football. Andy Selva (SS Cosmos) – captain and all-time top goalscorer for the San Marino national team. A search on ‘famous people born in Avignon’ raised hopes when the name Rene Girard popped up – the Montpellier manager (voted Ligue 1’s best last season by the players union the UNFP) will not be renewing his contract in the summer, so is available for a new challenge. Unfortunately, it’s the other Rene Girard. However, Giovanni Trappatoni has already managed the Vatican team (possibly) so he can step in, perhaps with Bologna-born Christian Vieri as his Camerlengo. Philippa Booth writes for French Football Weekly. This entry was posted in Hypothetical XIs and tagged avignon, camoranesi, de rossi, papal, pope francis, squillaci, totti, trappatoni, vatican, vieri by The False Nine. Bookmark the permalink.